"Senior partner Rastko Petaković routinely advises on complex merger control proceedings, antitrust investigations and distribution issues. His clients include private equity companies. He enjoys an excellent reputation, with interviewees remarking: 'He is very experienced, dedicated, efficient and has good business understanding.'" 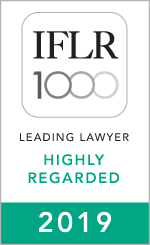 Rastko is a Senior Partner Senior Partner specialising in M&A, competition law and business regulation. He advises clients on the most complex antitrust matters, cross-border transactions and business regulation and is ranked by independent directories as the leading competition and M&A lawyer in the country. Rastko has advised clients on the most complex antitrust investigations and the largest M&A deals in the market to date. He focuses particularly on private equity clients and specialises in TMT and FMCG. 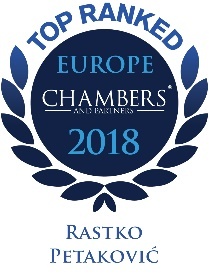 Rastko was selected as the winner of the 2015 and 2017 European Emerging Leaders Awards by the M&A Advisor. He currently helds a Managing Partner position in Karanovic & Partners. Education: University of Belgrade, Faculty of Law (2003), LL.B.